Skywatch Friday – A midsummer night’s storm ! | Highway - the only way ! Skywatch Friday – A midsummer night’s storm ! A streak of lightning caught during a thunder storm during peak summer, over the Bay of Bengal at Chirala, a coastal town in India. The picture was taken at 8.15 PM, so you can imagine how bright the lightning was ! This is our entry for this episode of Skywatch Friday. A wonderful shot of the lightening display. You captured it very well. Wow – very bright and so dramatic! 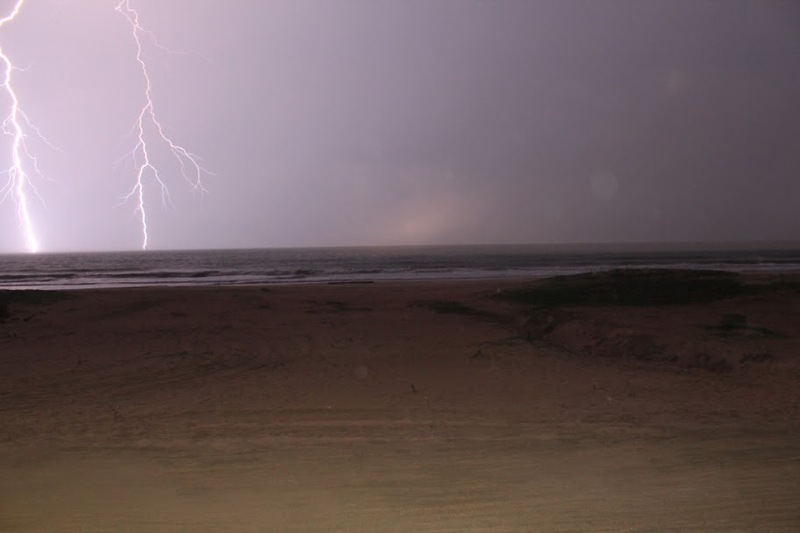 Thanks, it was an amazing experience to watch a thunderstorm over the sea ! What a lovely shot! Great capture of the lightning. Thank you very much, Arija ! Great captures, stay safe during lightning storms! A rare reason to saw ‘Wow’. Very beautiful photo!Thank you for it and enjoy your weekend!